PROVO, Utah – Junior outside hitter McKenna Miller managed six kills, two digs and two blocks in two sets of action against Santa Clara in BYU”s Thursday sweep (28-26, 25-17, 25-11). The Cougars must now make their way through the remainder of the season without the Murrieta, California, native’s help as she suffered an ACL injury in Thursday’s match. Miller racked up 250 kills, 3.25 per set, second most on the team, helping No. 1 BYU to a 24-0 record. In addition to her offensive prowess and efficiency (.307), Miller had chimed in with 21 aces, 53 digs and 38 blocks in 77 sets of play. Miller posted double-digit kills in 13 matches, including a season-high 18 against San Diego on Nov. 2. She hit .250 or better in 17 of the her 24 matches, including a .300 or better effort 13 times and a .400 or better clip seven times. 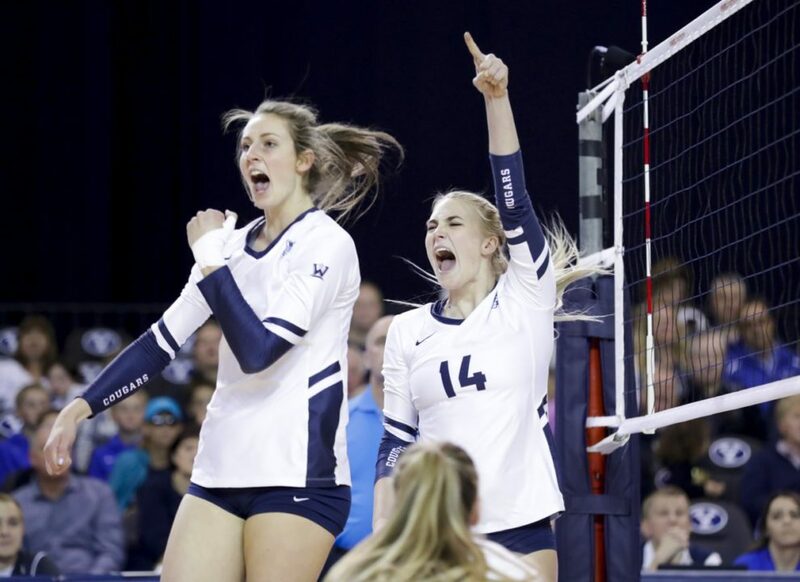 With Miller out of the lineup for Saturday’s match against San Francisco, BYU didn’t miss a beat, posting a season-best .537 clip as a team, the second best effort in the rally scoring era and the fourth-best in program history. Roni Jones-Perry (12) and Heather Gneiting (10) paced the Cougars with double-digit kill efforts, while Kennedy Eschenberg, Madelyn Robinson and Lacy Haddock added eight apiece. Next up on the slate is a Thursday contest at Saint Mary’s (17-8, 9-6 WCC) in Moraga, California, the first of three road contests to wrap up the regular season. The Cougars play Pacific (12-14, 7-8 WCC) on Saturday followed by a Tuesday meeting at Loyola Marymount (18-7, 8-6 WCC). BYU (25-0, 15-0 WCC) can clinch the outright West Coast Conference title with one more victory, currently boasting a three-match lead on second place San Diego (12-3 WCC). The best thing about this season is that BYU is now a early out in the tournament as the #1 seed, Minnesota and Stanford will be #2 &#3 and will play in the semis, and #4 Illinois won’t make the Final 4 . . . Anyone in BYU or Illinois quarters of he bracket can make the finals.. .. .
Why is that the best thing?